1. 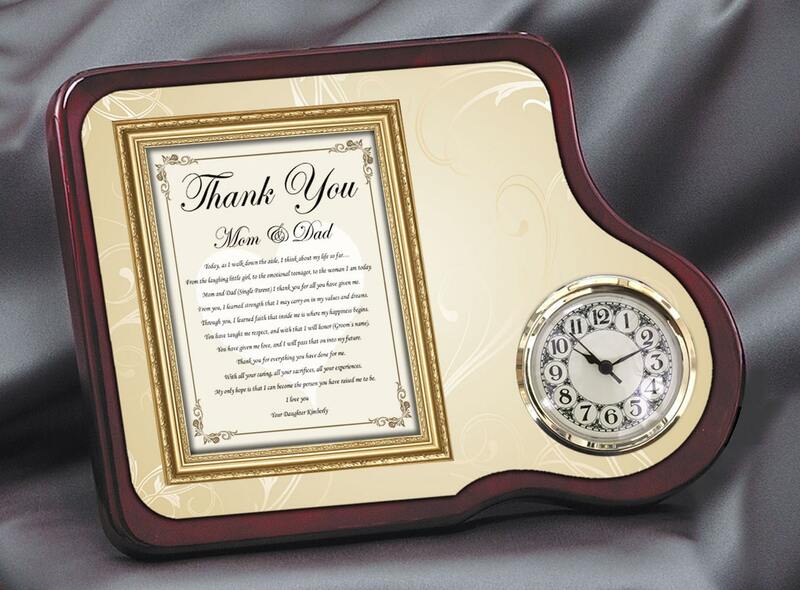 Is this gift for (Mom & Dad), (Mom), (Dad), etc.. ? 2. What is the Groom's First Name? 4. 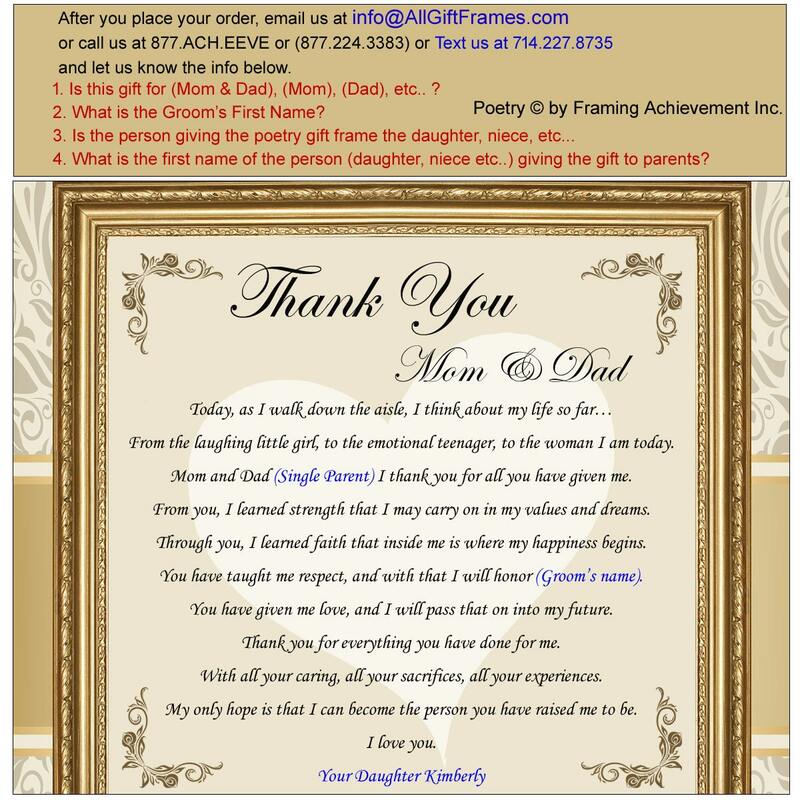 What is the first name of the person (daughter, niece etc..) giving the gift to parents?